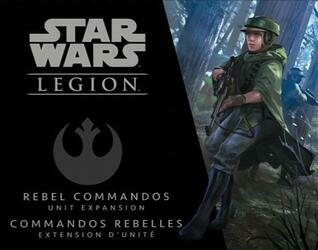 This STAR WARS: LEGION add-on contains 7 finely sculpted Rebel Commandos minifigures as well as additional Unit and Upgrade cards for your army. You can use these miniatures to form two different special forces units: a squad of four minifigures and a combat group of two minifigures. Each of these units can be completed with a Sniper or Saboteur figure.